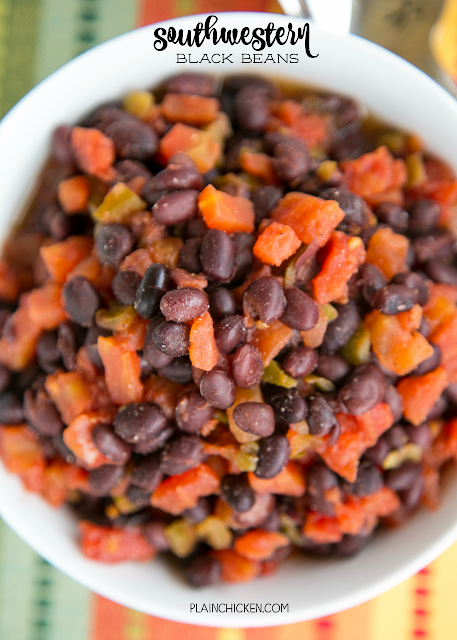 Southwestern Black Beans - only 4 ingredients! 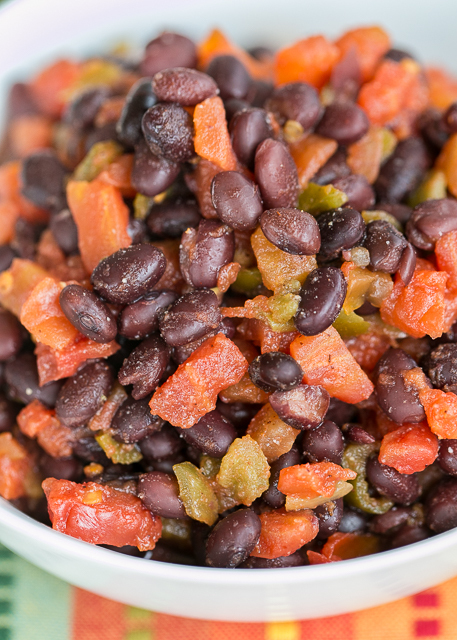 Black beans, diced tomatoes and green chiles, chili powder and lime juice. We make them all the time! Ready in 5 minutes!! Such a quick and easy side dish!! We make these Southwestern Black Beans every time we eat Mexican food at home. They are SO easy and SOOOOO delicious! There are only 4 ingredients and they only take about 5 minutes to make. You are just heating them through and then serving. We eat these beans with all of our Mexican casseroles and with taco night. They are our go-to side. I've been making these for years! 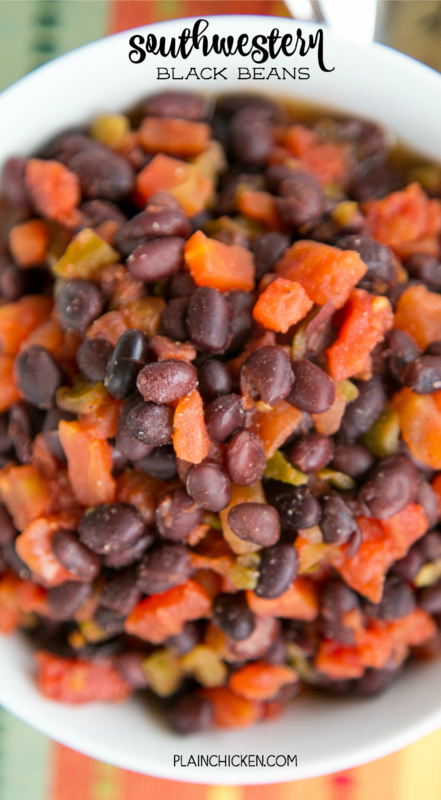 If you are worried about the beans being too spicy, make sure to buy MILD diced tomatoes and green chiles. In a small sauce pan, combine all ingredients. Simmer for 5 to 10 minutes, until warm.